No crack is too small to be paved, repaired, or sealed! 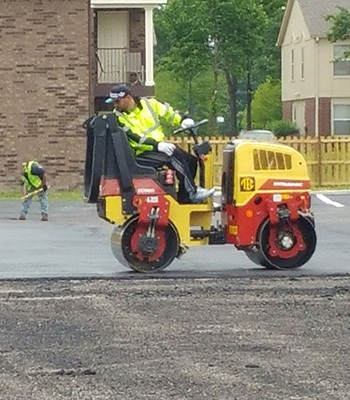 For more than two decades, A&R Paving has been providing dependable, long-lasting asphalt solutions as an asphalt contractor for commercial, industrial and residential clients in and around Memphis, TN. We offer comprehensive asphalt paving, maintenance and repair services. Our teams perform detail-oriented, high-quality work—guaranteed! When the job calls for asphalt pouring and paving, A&R Paving is ready, willing and able to offer service. We’re proud to be among the most reputable asphalt pavers in Memphis, TN, employing only highly-skilled crews to perform asphalt paving, repair and maintenance services. Our goal is always to meet the specific demands of your project, as well as the standards of each and every client. We strive to satisfy industrial, commercial and residential customers with the same level of professionalism and attention to detail. Our team has been providing high-quality asphalt paving solutions since 1989, giving us expertise that goes back decades. Let us provide you with a free on-site assessment and estimate; we’ll help you identify the best course of action for your site and your budget. We’re proud of our ability to offer superior workmanship at an affordable rate. We offer free on-site evaluations and estimates, so you always know how much your project is going to cost upfront. Our abilities are comprehensive, spanning residential, commercial and industrial jobs. We’re your one-stop shop for paving services. We maintain an A-plus rating with the Better Business Bureau (BBB) and strive to uphold our own reputation for excellence. Our friendly representatives provide prompt and professional service, backed by a complete dedication to customer satisfaction. We have nearly three decades of industry experience and utilize paving best practices when it comes to delivering exceptional results.